New to the home DIY market, NOOK Wine Racks are turning heads with a completely fresh approach to all wine storage needs. A lot of people, like us, simply don’t have the proper space for wine storage. 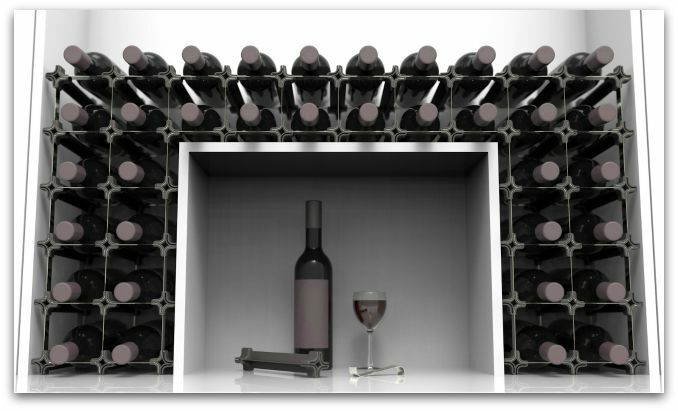 The age-old problem of wine storage has been reinvented by this ultra-simple modular design that can be built to fill any extra space! It’s ultra stylish and being made of only two parts you can build it to any size or shape! 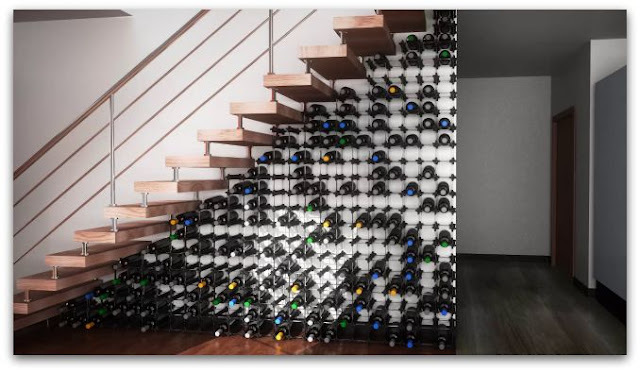 It’s ideal for people with very limited space, but it’s equally at home creating entire walls of wine. We have a finished basement and the NOOK Wine rack is perfect with its addable modular design. “Our aim is for people to make an aesthetic feature of their wine, wherever they want with a funky and affordable design. Its time to rethink wine storage”. ~ Nook Wine Racks states. Mission accomplished. 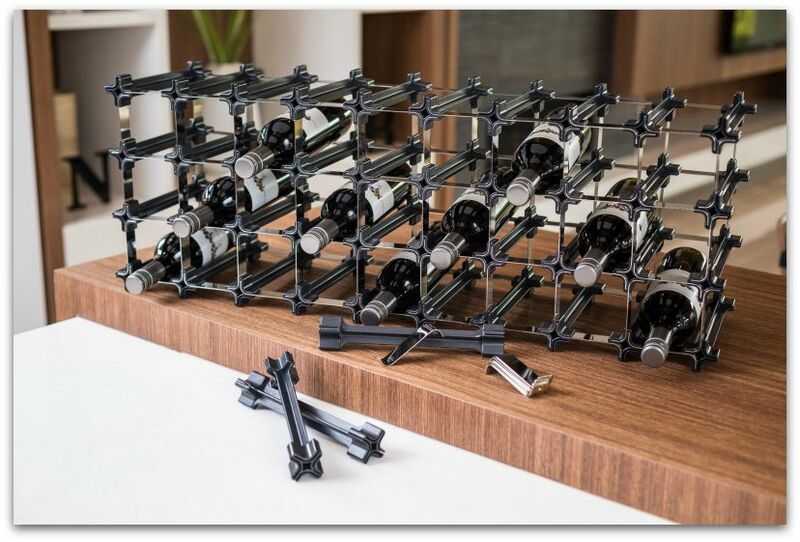 NOOK Wine Racks start at $45 for the 3 NOOK Starter Kit that allows for up to six bottles, which is the perfect entry level to discover NOOK and this size fits in the fridge! NOOK Wine Racks are available online at NOOK!